Bertrand Russell remains one of the greatest philosophers and most complex and controversial figures of the twentieth century. 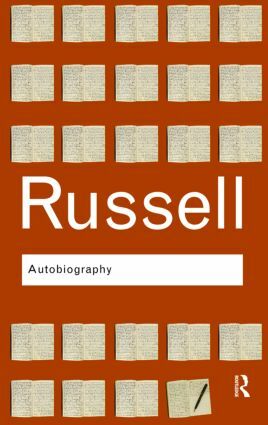 Here, in this frank, humorous and decidedly charming autobiography, Russell offers readers the story of his life – introducing the people, events and influences that shaped the man he was to become. Originally published in three volumes in the late 1960s, Autobiography by Bertrand Russell is a revealing recollection of a truly extraordinary life written with the vivid freshness and clarity that has made Bertrand Russell’s writings so distinctively his own.